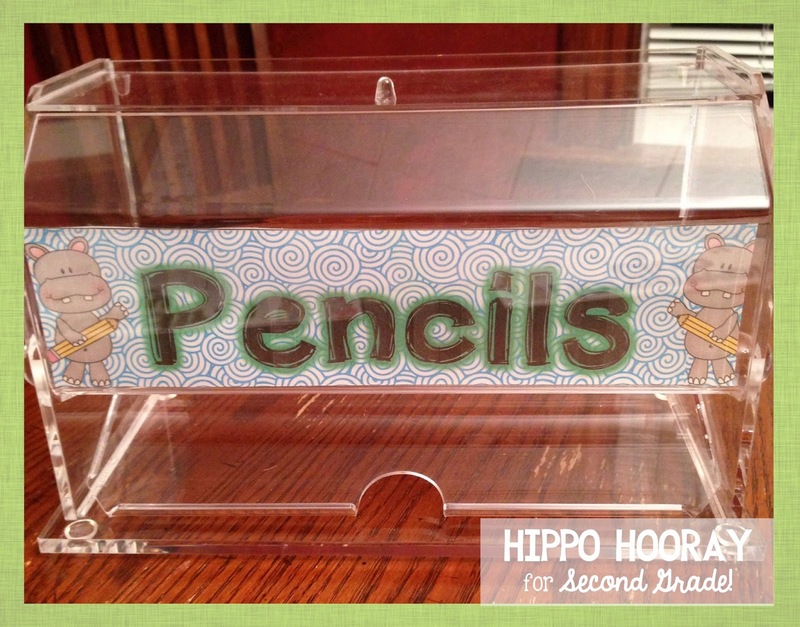 Weekend Warriors: Pinteresting Classroom Projects - Hippo Hooray for Second Grade! 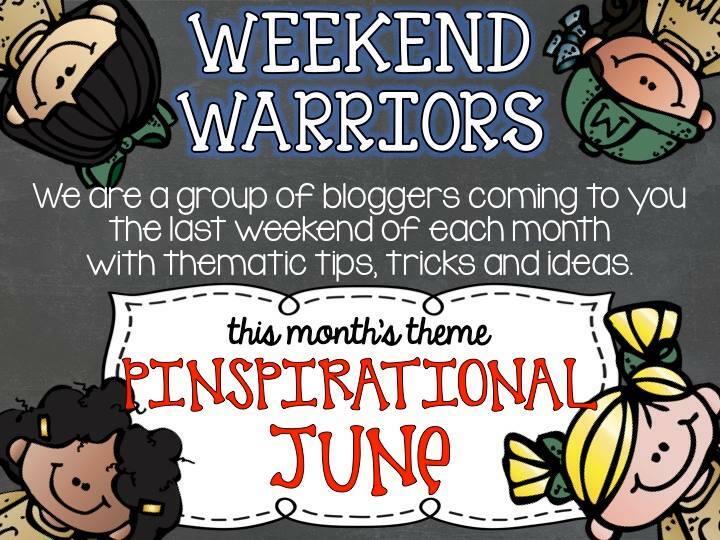 My bloggy friends and I are back! And I must say, I am LOVING this month's theme! I think I've added at least 10 more projects to my summer To Do list after reading everyone's posts yesterday! I now have 4,481 pins after hopping around everyone's blog LOL! Click here to see my home/craft pinspirations from yesterday. I bought this magnetic whiteboard with a cork strip around the outside at Hobby Lobby for $12. It was cheaper than the plain old whiteboard. Weird, hey? Then I bought the decorative tape (don't think it's technically washi tape) for $2 to cover up the cork strip and pretty it up. I whipped up a few labels and some numbers and laminated them. The top labels are attached to the board but the numbers have magnets on the back. I know I have some super cute library pockets at school, so I will add those to the bottom to put in the number tiles that are removed from the board. I separated it into two sides: homework and reading. For homework, I'm looking for my kids to return their math packets and their weekly spelling contracts on Fridays, and for the reading club, they need to read 75 minutes and return their reading calendars on Mondays. The two sides will be rewarded separately. The plan is to have a special lunch in the classroom (they all LOVE lunch in the room. Why is that???) for the bunnies who've returned their work. I don't grade homework; I just check it in. Did you do it or not? Sometimes I don't check in homework right away so it piles up. I'm hoping the homework club will keep me more on-track with checking in homework, plus will give my students an added incentive to return their homework on time. Moving on... Have you seen those straw dispensers used for pencils? Me too, but I always thought that it was a little unnecessary. They're cute, but my large plastic tub works just fine. Then I was reading about one a blog, and the blogger said that it prevents kids from digging through the tub to find the "perfect" pencil; they just take the one that comes out. And I'm SOLD!!! I bought the dispenser from Amazon, made the label, and spray glued it on the inside. I wanted to cover the whole inside so the bunnies wouldn't be able to see inside at all, but it just seemed like too much work since it's odd shaped. I can't wait to fill it up with freshly sharpened pencils! Lastly, I am loving all the chalkboard signs I've been seeing, not only for the classroom, but as home decor as well. I know I'm super late to the chalkboard par-tay, but better late than never! Of course I couldn't find exactly what I wanted on my Hobby Lobby trip, or at least at a price I was OK with. So I made my own chalkboard! First I found chalkboard placemats. I got two for $6. I'm thinking about taking the extra one and the chalk markers to school and putting them in my Word Work station. Then I found a build-your-own frame. The total cost was around $5 for the frame, and I spent $2 on the paint. I first painted them brown and then turquoise over the brown. Next I put it together and then used some sand paper to scuff it up a bit so that the brown would show through. You can't really see it though in the finished photo, but trust me; it's there! I used a staple gun to attach the chalkboard placemat to the back of the frame. It ended up being smaller than I was intending, but it works. Now it was time to decide what to write on the board. Here are a few of my pinspirations: this one, this one, and this one. I decided I wanted some kind of quote about making mistakes. Now it was time to write..... but I couldn't bring myself to do it! Funny, since the quote is all about making mistakes. So I gave myself a bit of a pep talk and started working. OK, it's time for me to hop around, check out my friends' projects, and pin more projects! Haha! Make sure you also follow me on Pinterest to see my future pinspirations! I LOVE your pencil holder! Your mistakes frame is such an adorable idea!! You just SOLD me on the pencil dispenser idea too. I was holding off for those same reasons. Off to Amazon I go. Where did you get the chalkboard placemats? Like you, I've been holding off for the price. Cute ideas! The chalkboard placemats were at Hobby Lobby - 2 of them for $6! OH my I love the idea of a reading club!!! 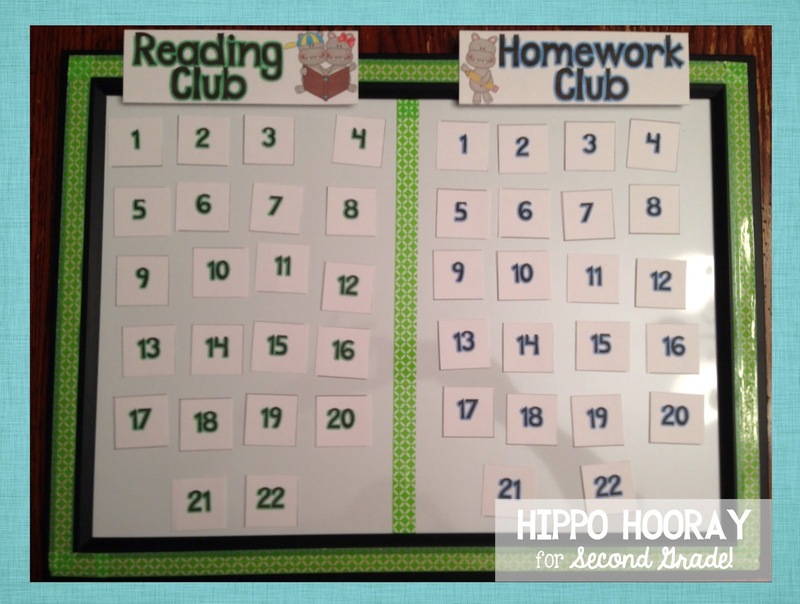 We had the homework club up in our room by Tara from 4th Grade Frolics (the second pin), but I love the idea of adding a reading club!! I also really, really love the chalkboard sign. 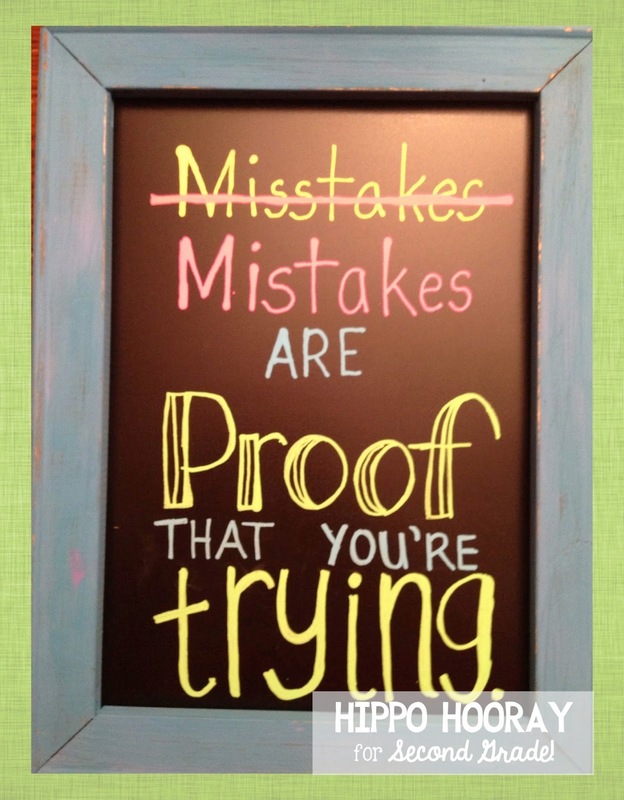 What a great way to encourage students that it's okay to make mistakes - mine often didn't want to admit they made a mistake, which made it tough for them when they DID make one! Thank you for the beautiful ideas! WOO HOO!!! I'm Getting 5 iPads Next Year!!! Last Day of School + FREEBIE!